You may have noticed chemical intolerances, or sensitivities, have become increasingly common. Perhaps it is a growing problem for you. Suddenly you can’t stand the smell of dryer sheets coming from someone’s vent, gas fumes, or the smell of perfume. What’s worse is when chemicals trigger symptoms in you, whether it’s a migraine, rash, autoimmune flare, brain fog, vertigo, respiratory problems, or fatigue. For some people the reaction can be quite severe and debilitating. Below I will briefly explain the mechanisms behind chemical sensitivities and how to address them, however, I understand in the meantime you need immediate reduction of exposure. Please click here to discover a range of highly effective products from Enviroklenz that help my chemically sensitive patients reduce their symptoms and more quickly recover. A chemical sensitivity means you are having an immune reaction to chemicals or heavy metals in air pollution, pesticides, plastics, adhesives, household cleaners, cosmetics, perfumes, and so on. This is similar to reacting to gluten, dairy, or another food. Both cause inflammation and trigger symptoms. Why do we develop a chemical sensitivity? Studies show we live in an extremely toxic world. Even eating all organic foods and drinking filtered water does not protect us from the thousands of chemicals we come in contact with each day. What matters more than the amount of chemicals or heavy metals in the body is whether you are reacting to those chemicals. This is like a food sensitivity, but to chemicals. Chemical sensitivity is more likely to occur when the immune system is out of balance. • A breakdown of the immune barriers in the gut, lungs, skin, and blood-brain barrier, making the body more vulnerable to toxins. It’s common to think removing the chemicals or heavy metals from your body with chelation, a detoxification therapy that removes heavy metals from the body, will banish the sensitivity. Unfortunately, this can be a dangerous and ineffective approach. This is because chelation frees the chemicals and heavy metals from body tissue into the bloodstream, where they trigger the immune system. This triggering causes inflammation and tissue damage. When it happens to the brain and nervous system, it can be quite damaging. Chelation should only be considered if the gut and brain barriers are in tact. I use functional medicine strategies to help alleviate and manage chemical sensitivities. These include supporting the activity of glutathione, the body’s most powerful antioxidant, repairing the immune barriers—gut, lung, and blood-brain—with nutritional support, balancing the immune system, and restoring the body’s natural ability to detoxify. Our homes or work place are primary locations for environmental / chemical exposures. We are exposed to chemicals in the air from outgassing of furniture, carpets, paints, plastics, and more. 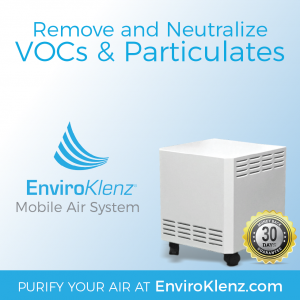 I recommend air, surface, and laundry neutrializers for your home or office that help to reduce or eliminate the effects of chemicals before they enter your body and activate your immune system. Click here to discover more about how you can reduce your immune reaction to environmental chemicals and toxins. Ask my office for more advice about how to address chemical sensitivities. Click here to learn more about reducing your immune reaction to environmental chemicals and toxins.